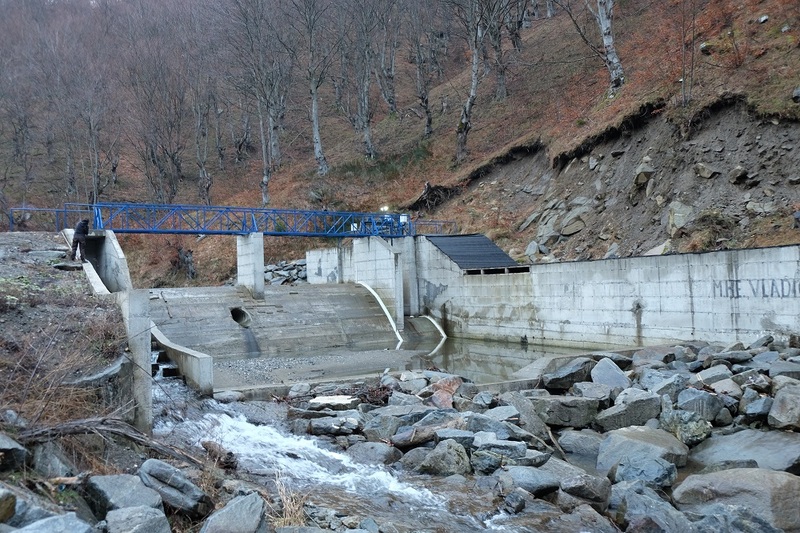 It perplexes me why bankers investing in hydropower projects in the Balkans have been so short-sighted as to pour at least EUR 700 million (and probably much more) into hydropower projects that are seriously damaging nature and causing conflicts with local communities. Finance is essentially a forward-looking enterprise: as a financier you are looking to future yields to cover the present investment. You are guessing the future value of money, and assessing the risks to find the best model for financing an endeavour or project. It has long been recognised by companies and banks – at least in theory – that financial gains mean little without taking social and environmental impacts into account and looking at the real life consequences of financing decisions. The future of hydropower, even small scale, is not as green as it seems. 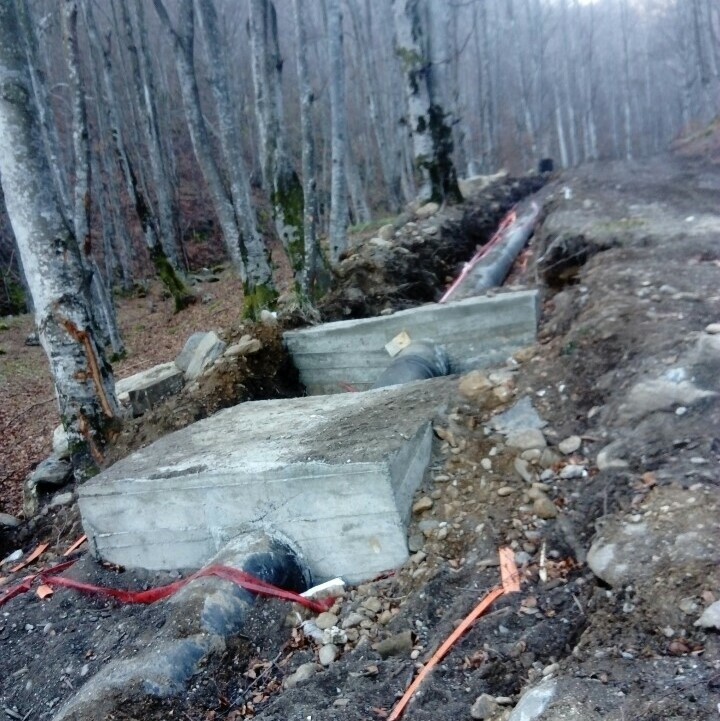 Following field visits in Albania and Macedonia in 2017 to see the real-life impacts of projects already built, Bankwatch recently teamed up with local activists and visited 14 plants located within just 40 km2 on the borders of the Kopaonik National Park in Serbia. 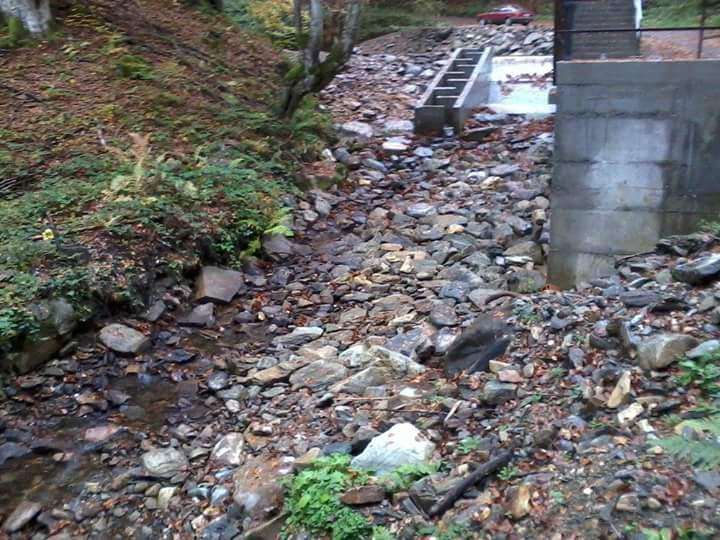 What we witnessed is uncontrolled development of hydropower that has damaged no fewer than three rivers. Even greater damage could be done by at least another three plants planned in the area. Half of the 14 plants* we visited were financed by Austria’s Erste & Steiermaerkische Bank, four by the EBRD and one by Sberbank. The Samokovska river in the Kopaonik National Park is still in a pristine state above the Velež hydropower plant. 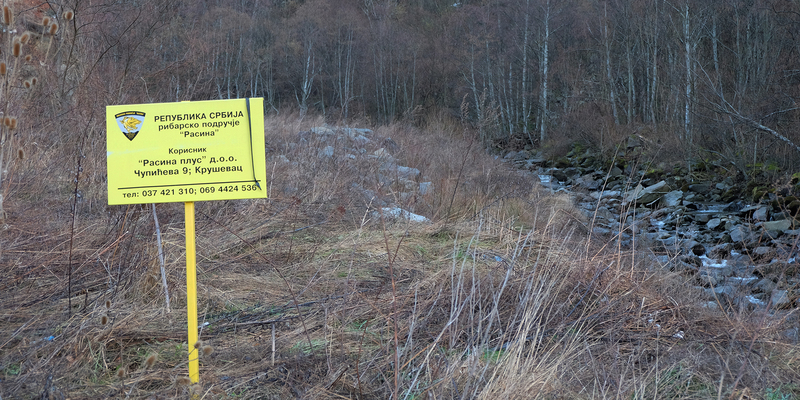 But not for long, as 5.9 km of the river is to be put in a pipeline for the Samokovska reka 1 plant. Make no mistake, this is an industrial installation: tonnes of concrete poured in to stop once mighty rivers and most of the life circulating in them: fish, stone crayfish and thousands of smaller organisms that render our rivers alive. 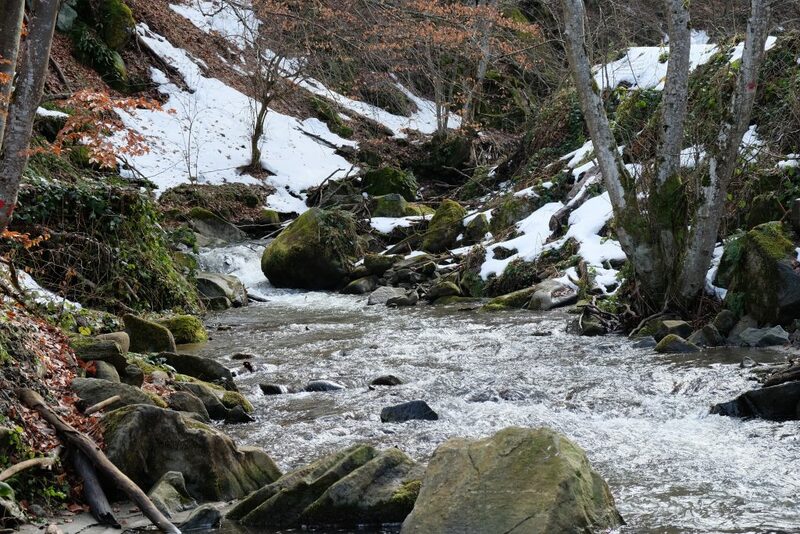 Once upon a time these rivers hosted fish species such as Mediterranean barbel, Chub, Gudgeon and Sabanejewia balcanica – all on the IUCN red list, the latter of which is strictly protected in Serbia. These plants are often called run-of-the-river: In reality they are anything but. 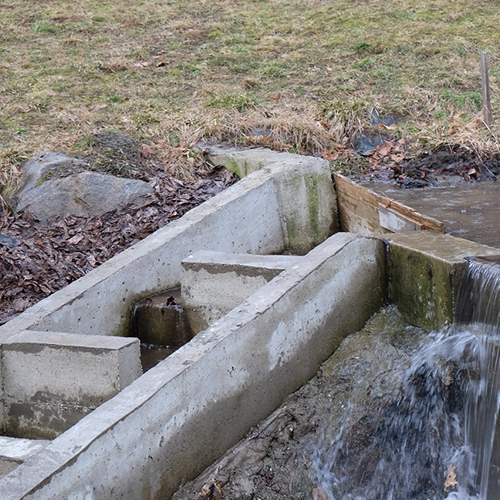 Dams block the rivers’ flow and form quickly silted-up ponds. 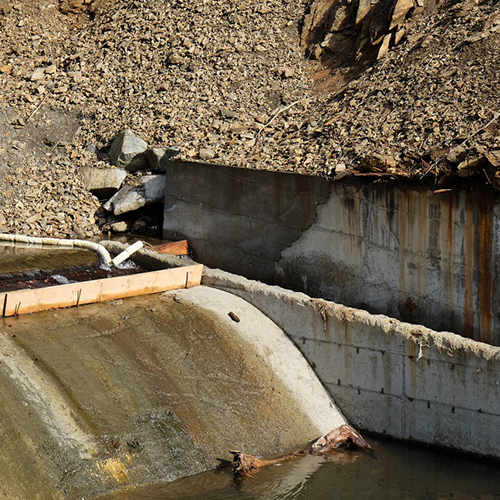 From these concrete obstructions, the water is put into pipes and diverted to the powerhouse further below. 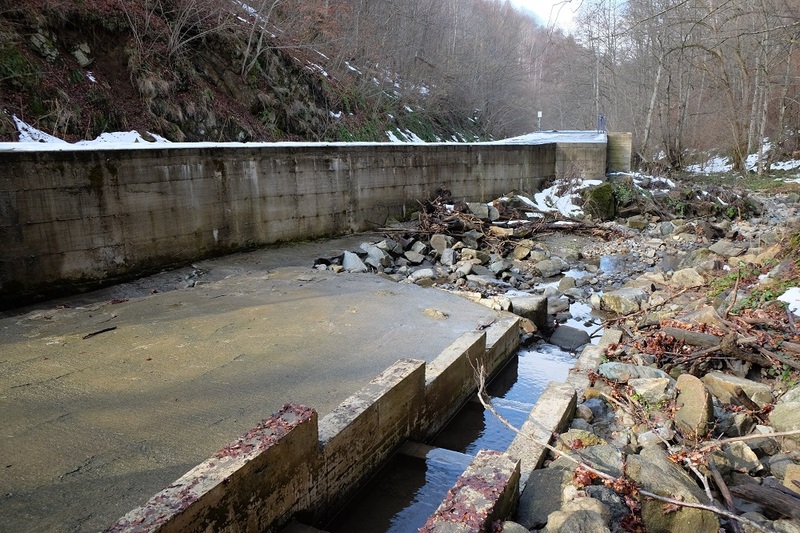 Between the dam and the powerhouse, a ‘biological minimum’ flow is supposed to be maintained. Once mighty rivers and mountain streams are turned into lifeless drainage channels. So far we identified EUR15 million* pouring into the region for construction of the hydropower plants. This translates into 17.8 km of rivers put into pipes, and 9.2 km about to be, leaving river beds with low or no water during the dry months. 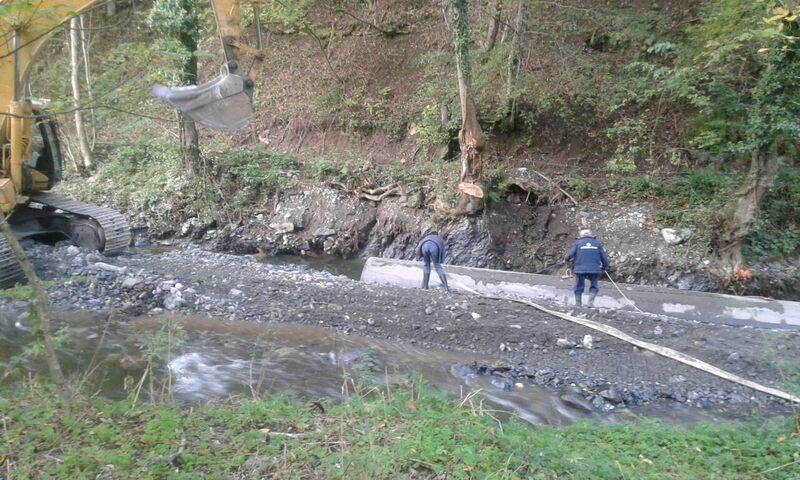 This is in contravention of Erste’s rules that, among other things, require compliance with the EU Water Framework Directive, and stipulate that no adverse effects on critical natural habitats or critical freshwater resources are allowed. Local people report that the rivers are completely drying up on a regular basis. 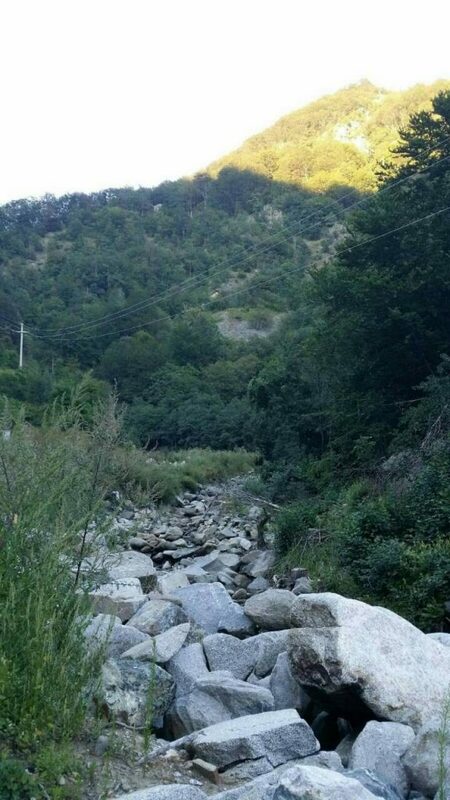 And the reality: the almost dry riverbed of the Gobeljska river below the Samokovo hydropower plant intake. We visited the river in February when there were comparatively high water levels. 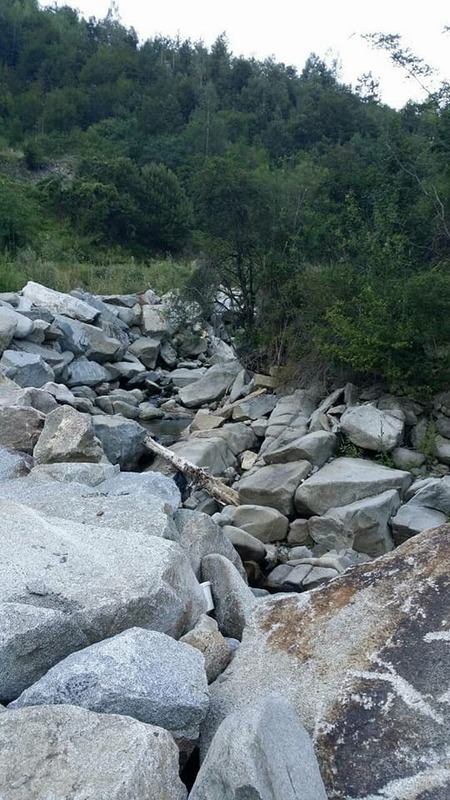 However, even then, water levels were considerably lower downstream from the dams, sometimes going below the minimal requirements. For several of the plants it was obvious that even the minimal requirements were not complied with. What hurts the most is the operators’ plain chutzpah in building and running the so-called fish passes. 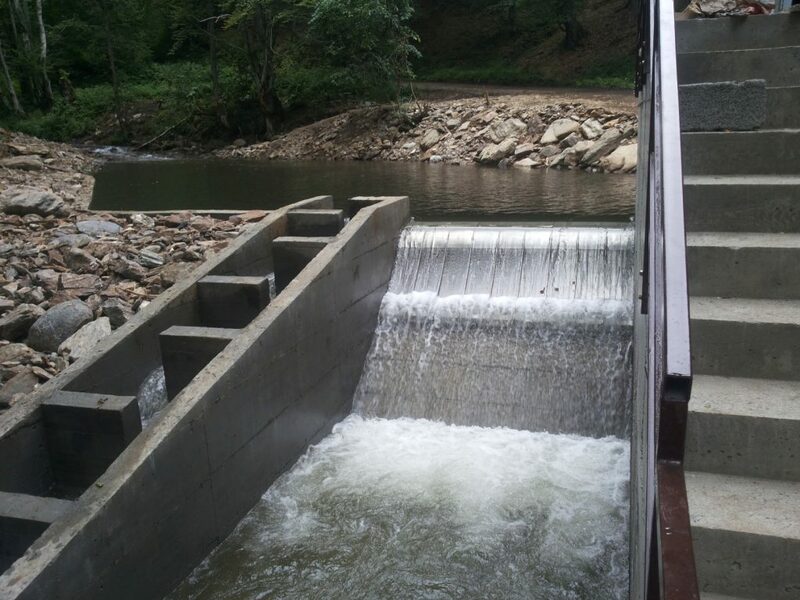 In theory, they are built to enable fish migration over dams. In practice, they are often intentionally blocked or require some serious aiming and jumping skills. Three plants that we visited are still under construction: Samokovska reka 1, Planska and Marici. The trees and other vegetation along the riverbank have been mercilessly cut. 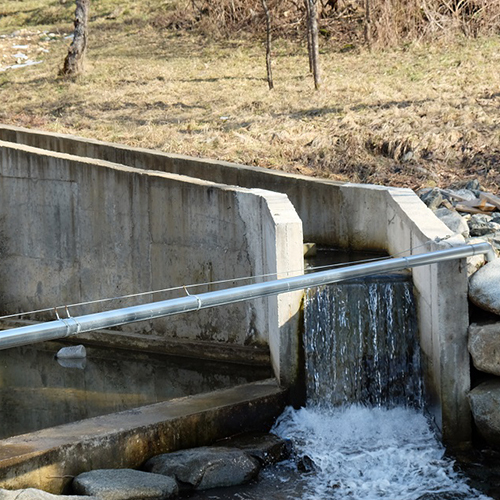 The water pipes go under the river bed (at least in cases of Planska, Velež 1 and Kašići), which contradicts the provisions of the Serbian Law on Nature protection due to excessive disturbance of the ecosystem and water quality. 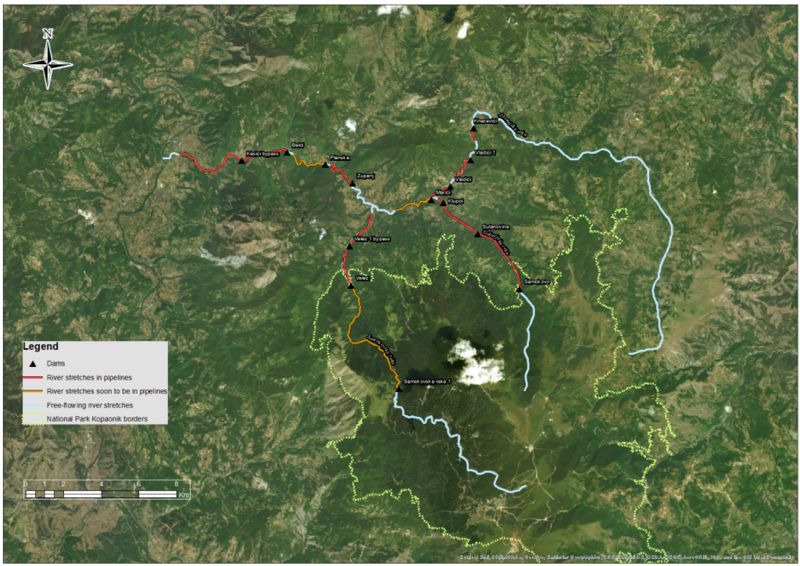 Moreover, Samokovska reka 1, financed by Sberbank, is deep in the Kopaonik National Park. It needs to be re-examined whether putting 5.9 km of the river into pipes contradicts the nature conservation goals of the area. Financing for at least these three can still be conditioned on addressing the violations of local laws and international standards. 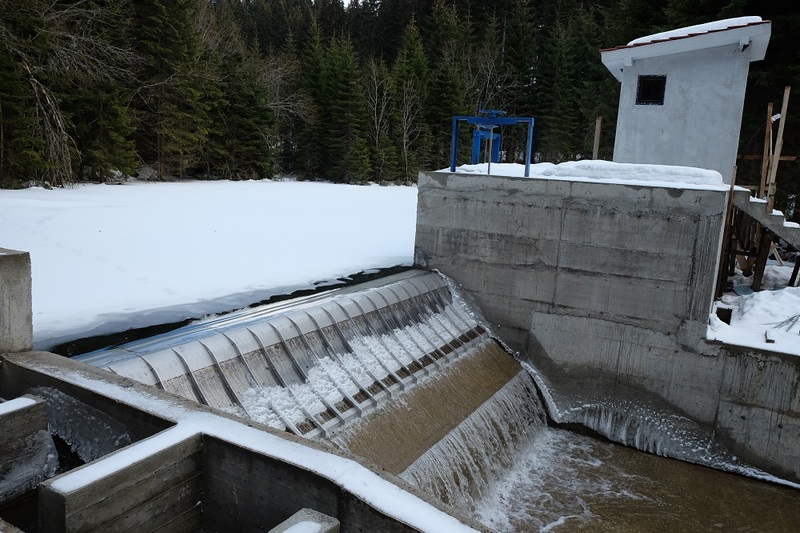 Marici hydropower plant, financed by Erste Bank. There is an abundance of water now, but no certainty that it will stay like this. While it is positive that banks want to finance the much-needed transition away from coal towards renewable energy in Serbia, it is crucial to ensure that the cure is not worse than the disease. 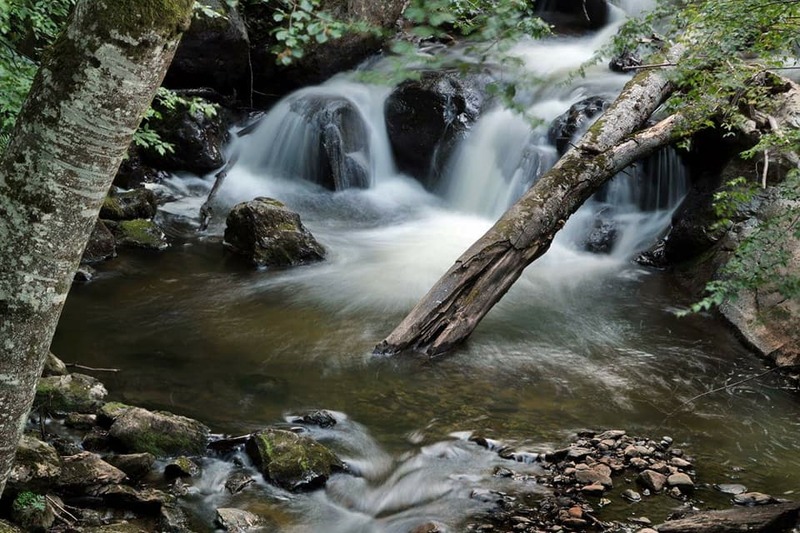 The number of small hydropower plants needed to make any serious contribution to Serbia’s electricity supply would be so large that virtually every mountain stream in the country would be destroyed. 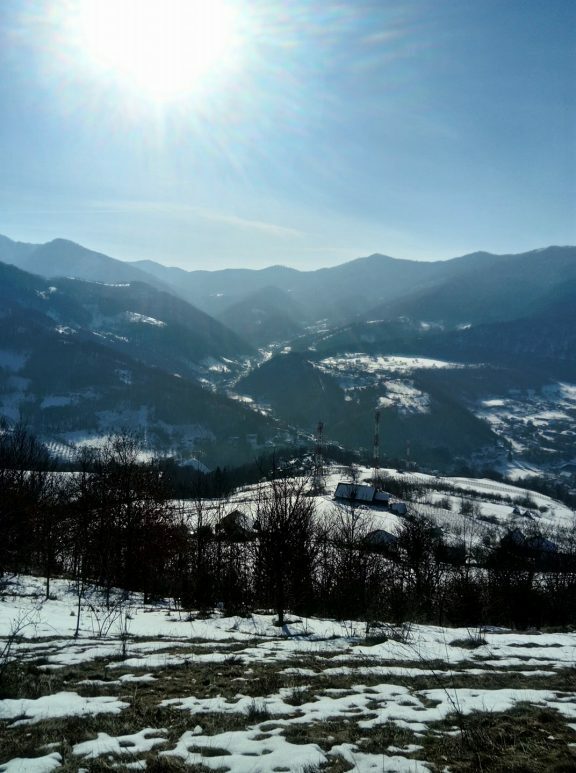 Energy efficiency, as well as appropriately-sited wind and solar, have yet to get seriously off the ground in Serbia and could use support from Erste and other banks. Recently Erste, Unicredit and other banks teamed up to build Kosava wind farm, which is a step in the right direction. 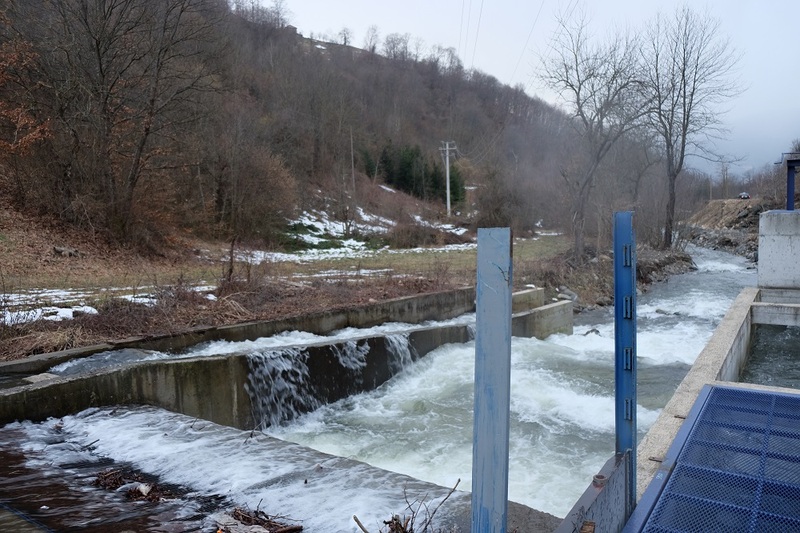 The situation in Josanicka banja shows that while Erste and the EBRD both have reasonable environmental policies in place, improvements are still needed. In particular, projects financed by multilateral development banks via commercial intermediaries are causing problems, as the environmental assessment is to a large extent delegated to the commercial banks. Cases like Josanicka banja show that either the knowledge, interest or capacity is lacking to carry out this work properly, and public oversight is non-existent because commercial banks do not disclose the names of the projects they are financing. 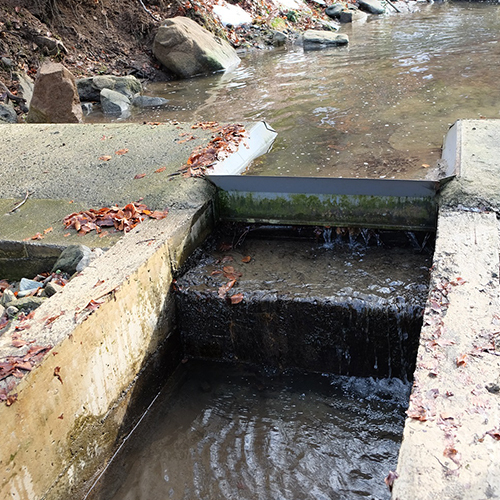 Obvious deficiencies like the fish passes above also show that monitoring and enforcement of the existing standards is lacking. As the EBRD undertakes a review of its environmental and social policy starting this year, it needs to find way to make sure that damaging projects do not slip through the net just because they are financed through intermediaries. 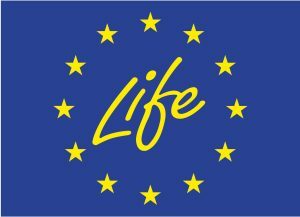 Erste’s policies, meanwhile, would have prevented these negative impacts if properly implemented, so the emphasis needs to be on making sure that its policies are really implemented and enforced in practice. 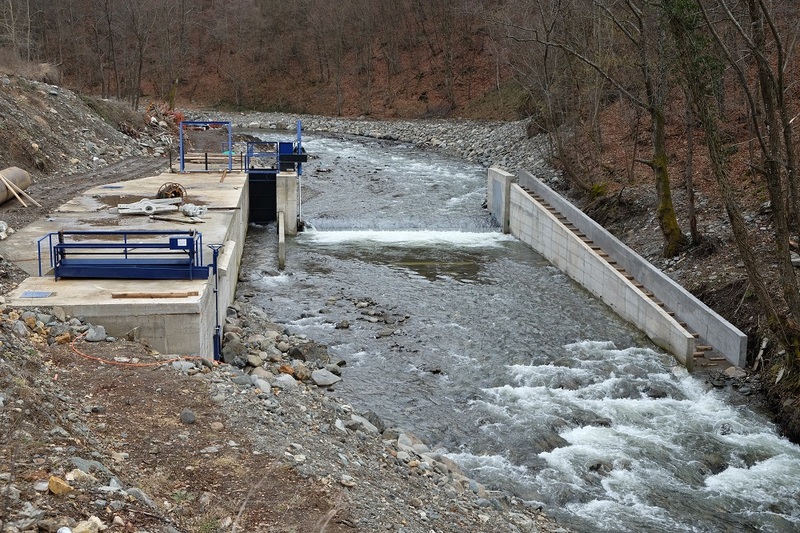 * Known loans for hydropower plants visited, used for construction. Further loans might have been extended after the operations started. ** EBRD extended a single loan to Vladići, Marići, Šutanovina and Velež via the WeBSEDFF scheme. The loan is marked as completed.